You can buy these items as great birthday gifts or for the do-it-yourselfers, you can buy one of our birthday kits and throw your own Little Science Wizards party! If you have gift or purchase questions feel free to email us. No Minimum Order! Items available in limited supply!! FREE SHIPPING with orders $25 and over!!! This cool bouncing ball kit is from one of our programs. Each kit makes 6 bouncing balls. Includes 3 ball forms and 6 mix packets! Just add water. Bouncing Ball Kit - $ 7.50! Watch the plasma 'lightning show' on the inside of this ball. Plug it in and watch the moving light for hours. Great as a gift! The little brother of the 6" lightning ball. This one is great in the kid's room too! UV Detecting Bead Kit includes 100 assorted color UV beads, 5 key rings, and 5 feet of plastic string. These beads only change when exposed to ultraviolet light (sunlight). Solar Powered Robot Kits - Easily assemble a sun powered motorized robot. You can choose from the Robot, Beast, Worm, Elf, and Bug. Popcorn Stones (Dolomite) - Easily grow crystals by placing these stones in household vinegar. 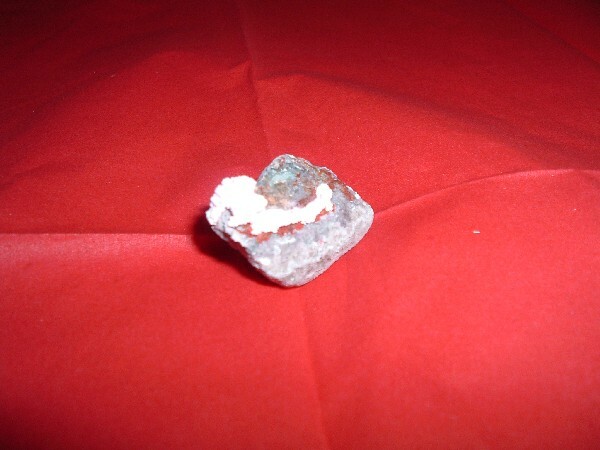 The pictured stone has pink crystals (red food coloring and vinegar). ...or just buy the Goodie Bags for your son's or daughter's birthday party!